Verderflex Hose Pump - Sintorn Co., Ltd. 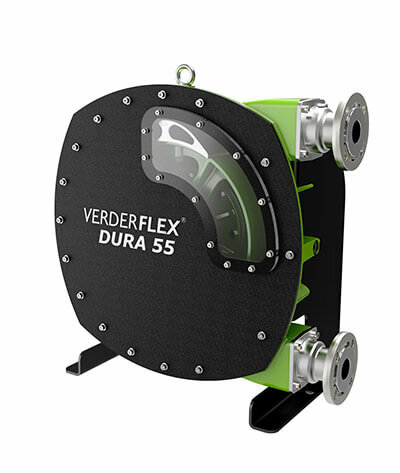 The Verderflex Dura is the first real advance in hose pump technology since the high pressure hose combining the compactness of a close coupled pump, with all the benefits of the traditional long coupled pump. 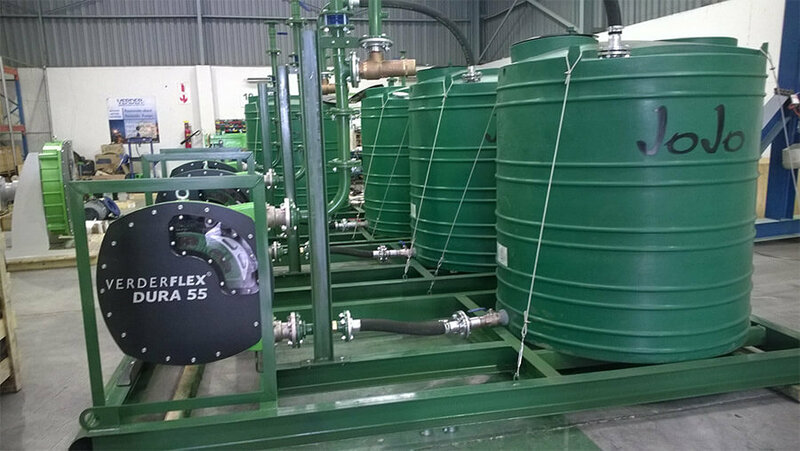 The Verderflex range of industrial hose pumps are a proven high quality family of peristaltic pumping solutions. These pumps reduce downtime, minimize maintenance costs and provide easy to operate and reliable solutions in difficult pumping situations. 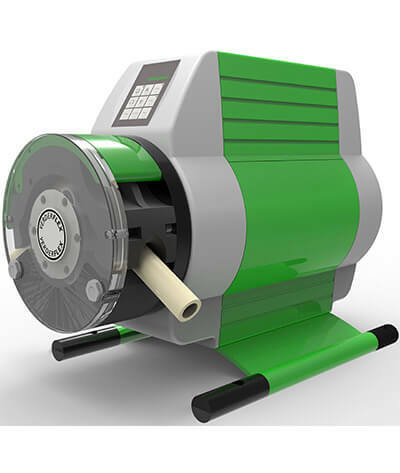 The Verderflex ROLLIT is a new series of peristaltic roller hose pump, completing the Verderflex range of hose and tube pumps. 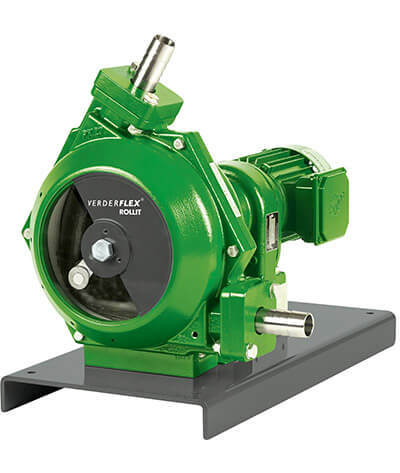 Verderflex ROLLIT pumps are lubricant-free peristaltic hose pump. The Verderflex ROLLIT is available in a standard (single) and twin-head version. 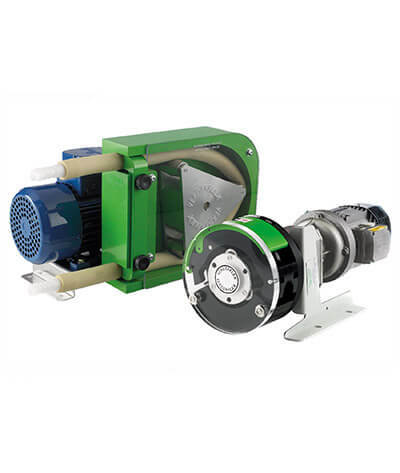 Pumps are extremely robust, ideal for heavy duty operation on intermittent or continuous duty cycles. 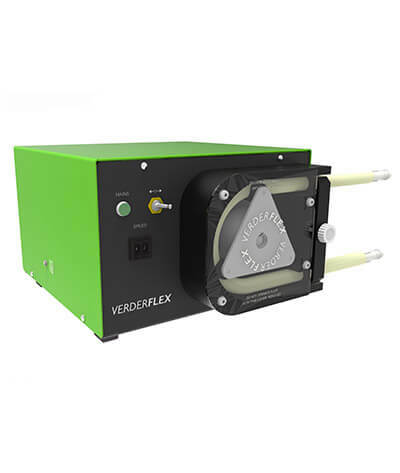 The Verderflex Economy range of peristaltic tube pumps are simple to use, manual control, cost effective cased drive tube pumps. Ideal for intermittent, bench top use in laboratories and process environments, this compact range is ideal for transferring, harsh, abrasive, shear sensitive or viscous fluids. 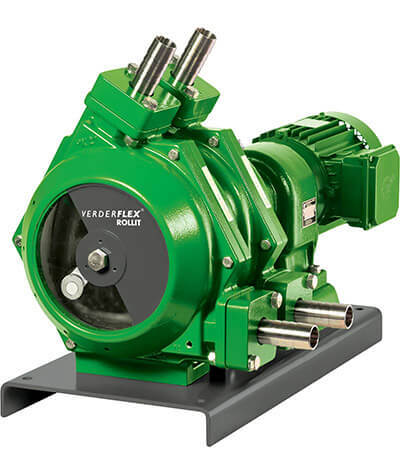 The Verderflex Rapide is a range of industrial tube pumps that provide a balanced selection of simple to operate peristaltic pumps. The family offers the customer pump choices that are compact, are simple to use and require no tools during the tube change. can be supplied with up to 4 heads for multiple channel dosing. 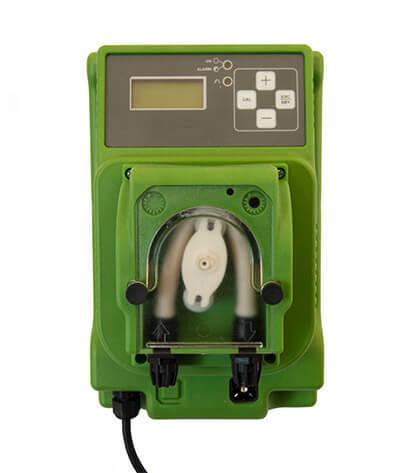 The Verderflex VP dosing systems are self-contained IP55 rated constant or variable flow dosing systems for pH, Redox or Chlorine control Systems include an overdosing alarm, remote on-off switching, and supply tank fluid level switches. 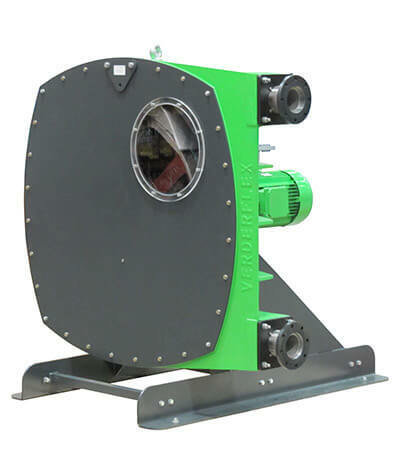 The peristaltic pump is based on alternating compression and relaxation of the hose or tube drawing the contents into the hose or tube, operating in a similar way to our throat and intestines. Upon restitution of the hose or tube a strong vacuum is formed drawing product into the pump. bar (tube). The high pressure hose has inner layer 2-6 reinforcement layers and an outer layer, which allow higher working pressures and generate higher suction lifts than non re-enforced tubing.